With one million square feet of cultivation fields, a 35,000-square-foot production plant, and 30,000 square feet of grow rooms and labs, Gedo’s company, Breath of Life Pharma (BOL), is about to open the world’s largest medical marijuana production, research and development facility. According to Gedo’s estimates, BOL will produce 80 tons – more than 175,000 pounds – of cannabis per year. A tour of BOL’s new facility feels like a walk through the medical-marijuana version of Willy Wonka’s Chocolate Factory. With its patented extraction and purification equipment, grow rooms and germination labs, BOL will be pumping out pharmaceutical-grade cannabis tablets, capsules, inhalers and oils that are customized to treat certain ailments, with specific and controlled consistencies. And no, this isn’t happening in Colorado, California, or anywhere near America for that matter. This medical weed wonderland sits in what might be the last place you would imagine finding the world’s largest facility for medical marijuana: Israel. 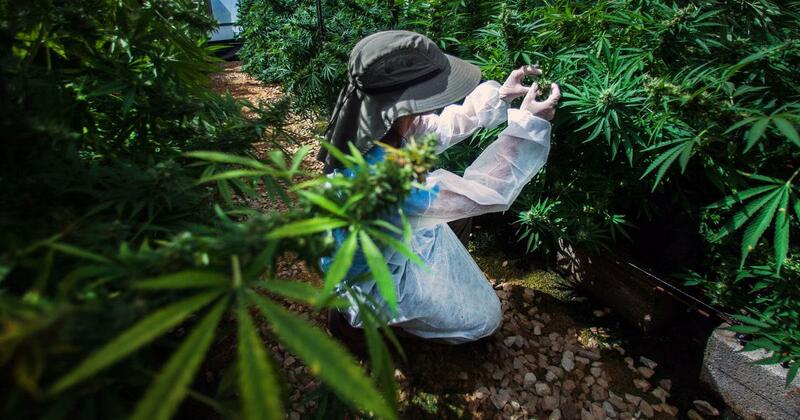 Over the past 50 years, Israel has become the epicenter of medical pot. Home to Raphael Mechoulam, the pioneer of marijuana research, Israel is where THC and the endocannabinoid system were first discovered. And with the world’s largest number of clinical trials testing the benefits of medicinal cannabis, Israel has become the global destination for medical cannabis research and development. Now it is becoming the offshore greenhouse for American cannabis companies seeking to overcome the federal roadblocks standing in their way. Israel was among the first countries to legalize medicinal use, and is one of just three countries with a government-supported medical cannabis program. Though recreational use remains illegal, support for legalization is a bipartisan issue, with some of the most outspoken proponents coming from the right. Until now, Israel’s role in this multi-billion dollar field has been limited to R&D. Yet now that the Israeli government has approved the export of medicinal cannabis products, companies there are hoping to gain a larger piece of the market. While importing cannabis into the United States is illegal under federal law, companies can get around that ban by receiving drug approval from the FDA – and that is exactly what Israeli companies hope to do. According to the FDA, nothing is stopping them, as long as they meet the agency’s arduous requirements for drug approval. While the FDA has approved three drugs containing synthetic cannabinoids (Marinol, Syndros and Cesamet, which treat symptoms of AIDS and chemotherapy), it has never approved a product derived from botanical marijuana. According to the agency’s guidelines, “Study of marijuana in clinical trial settings is needed to assess the safety and effectiveness of marijuana for medical use.” Yet initiating clinical trials on U.S. soil is difficult to the point of being nearly impossible. So, American companies are increasingly taking a shortcut: beginning phases 1 and 2 of their clinical trials in Israel, after which they will complete phase 3 in the U.S., speeding up the process through which they can apply for FDA approval of the botanical cannabis drugs they are developing. Israel is becoming the offshore greenhouse for American cannabis companies seeking to overcome the federal roadblocks. The Lambert Center is one of several American institutions that have partnered with BOL, collaborating on at least one of the more than 50 clinical trials the Israeli company will begin once its new facility is fully operational in late September. Of the 15 international companies that have already signed up to conduct their R&D at BOL’s facility, at least six are American, and Gedo is in talks with more. BOL isn’t the only Israeli cannabis company benefitting from international interest. A growing number of American investors are getting on the Israeli cannabis wagon, which they see as the best vehicle for transforming the medical cannabis field, still in its infancy, into a pharmaceutical-level industry. According to Saul Kaye, the founder of iCAN, an Israeli cannabis R&D firm, 2016 saw the investment of more than $250 million in Israeli cannabis companies and startups – half of that investment came from North America. Kaye predicts that investment will grow ten-fold over the next two years, reaching $1 billion. At least 50 American cannabis companies – and counting – have established R&D operations in Israel. Israel’s journey to the forefront of the medical cannabis field began with 86-year-old Israeli chemist Raphael Mechoulam, known in the field as the Grandfather of Medical Marijuana. In 1963, as a young researcher, Mechoulam secured 11 pounds of Lebanese hashish, which had been confiscated by his friend at a police station in Tel Aviv. He used that hash to identify, isolate and synthesize THC, the psychoactive compound in cannabis, for the first time in history, and study its medical uses. He was also the first to decode the structure of CBD, the plant’s primary non-psychoactive ingredient. But Mechoulam’s most groundbreaking discovery came in 1992, when he and his team at Hebrew University in Jerusalem discovered the physical reason humans can get high. “It turned out that the cannabinoids in the plant actually mimic the compounds that we form in our brain,” says Mechoulam, a professor and researcher at Hebrew University who works with several American cannabis companies. He and his team discovered that THC triggers the human body’s largest receptor system, now known as the endocannabinoid system, and that the human brain produces its own cannabinoids – compounds that stimulate the body almost exactly the way THC does. While Mechoulam’s research is what first placed Israel on the medical marijuana map, the country’s progressive attitudes toward cannabis, coupled with the Israeli government’s liberal regulatory policies and the nation’s technological leadership, are what have maintained Israel’s status as the capital of medical marijuana research and development. It might also help that Israel has the world’s highest ratio of marijuana users, according to Israel’s Anti-Drug Authority, with 27 percent of the population aged 18-65 having used marijuana in the last year. That rate is followed by Iceland and the U.S., at 18 and 16 percent respectively. While the Israeli government invests millions of dollars in medical cannabis research, the U.S. government makes the same research nearly impossible. “There are onerous restrictions on conducting this research in the U.S. that don’t exist in Israel,” says one expert. Despite the fact that 95 percent of the U.S. population lives in states where cannabis is legal in some form, marijuana remains federally illegal. This policy makes conducting research into the medical benefits of marijuana notoriously difficult on U.S. soil. Researchers who wish to do so must go through the DEA, the FDA and the National Institute on Drug Abuse (NIDA). Even when American researchers are given approval, they have only one source for their material: a cannabis farm at the University of Mississippi, operated by NIDA. The process, if successful, can take years. “There’s a lengthy and arduous regulatory process for getting approval for doing studies, and limited resources at these agencies for processing those requests,” says Pollack, of Thomas Jefferson University. “It’s deliberately made very difficult for us.” In Israel, on the other hand, a cannabis clinical trial can get off the ground in a matter of months. Kalytera – a California-based company with a lab in northern Israel and Mechoulam on its scientific advisory board – is also focusing on orphan drug indications, conducting clinical trials at Israeli clinics and hospitals in order to bring to market a cannabinoid drug for the treatment of graft-versus-host-disease, which can happen after certain kinds of transplants. What institutions like Kalytera and Thomas Jefferson University do is they conduct the initial phases of their clinical trials in Israel, since it’s much easier to get the process started here, and then they do the final stages in the U.S., since FDA approval requires that part of the study be done there. Once they reach the final stage (phase 3) it’s much easier to conduct the rest of their study in the U.S., because they’ve already amassed enough data to show that it’s safe. This is the ultimate goal for Kalytera, Pollack and other researchers in Israel: to speed track the process of conducting a clinical trial that meets FDA standards, thus shortening the journey toward FDA approval of their drugs. 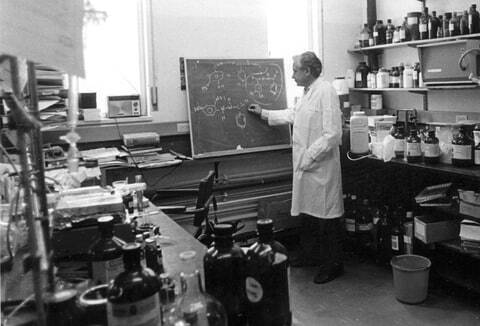 In addition to Kalytera, Mechoulam works with two other American companies, helping them develop new cannabinoid drugs and delivery methods out of his lab in Jerusalem, where he tests the specific properties, compositions and combinations of the cannabis compounds that are best suited to alleviate a specific ailment. American companies then use that research and data to manufacture cannabinoid drugs in the U.S. According to Saul Kaye of iCan, about 50 U.S. cannabis companies are conducting research in Israel through partnerships, joint ventures or by employing Israel-based researchers like Mechoulam. At least 15 American cannabis companies have set up their entire R&D operations on Israeli soil, conducting clinical trials, and developing the appropriate dosing forms and delivery systems for pharmaceutical-grade cannabis-based drugs. According to Michael Dor, senior medical advisor at the Health Ministry’s cannabis unit, at least 120 clinicaltrials are currently under way in Israel to test the medicinal benefits of cannabis — more than any other country. At least 15 American cannabis companies have set up their entire R&D operations on Israeli soil. 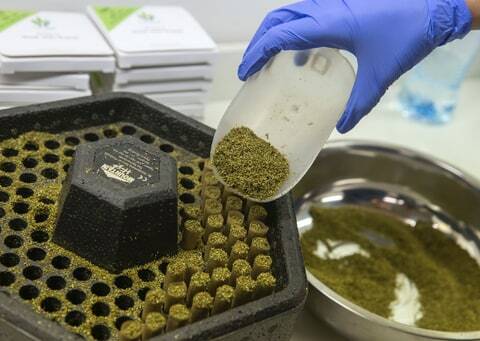 Cannabics, a Maryland-based, publicly-traded company, is conducting a clinical trial at an Israeli hospital in order to develop a capsule for cancer treatment. In 2015, One World Cannabis Pharmaceuticals, a public company based in Delaware, established an Israeli subsidiary overseen by Yehuda Baruch, the first head of the Israeli government’s medical cannabis program, established in 2007. They are now beginning phase 1 of a clinical trial to test the benefits of a topical cannabis cream to treat psoriasis. Their next trial will study the efficacy of a soluble pill for the treatment of chronic pain. They eventually plan to conduct clinical trials on patients with multiple myeloma. Some Israeli companies have partnered with American companies to establish a presence in the U.S., where they sell products that were developed in Israel. For example, Tikun Olam, Israel’s first medical cannabis distributor, opened an American subsidiary in 2016. It now sells its proprietary medical-grade plant strains at 10 dispensaries in Delaware and Nevada and will soon be available at dispensaries in Oregon and California. Their most popular strain is Avidekel, a non-psychoactive CBD blend used to help children with seizures. Some American researchers have even moved to Israel all together. Alan Shackelford, a Harvard-trained physician, was among the first American doctors to prescribe cannabis to a child. His eight-year-old epileptic patient Charlotte Figi sparked national interest in CBD after her miraculous story aired on CNN’s Weed documentary in 2013. Yet after years of failed attempts to conduct clinical trials in the U.S., Shackelford recently established his own research entity in Israel because of his frustration with the American government’s stonewalling. “The U.S. government has funded $1.4 billion in marijuana research since 2008,” says Schackelford. “Yet $1.1 billion of that went to studying addiction, withdrawal and drug abuse,” problems that barely exist with cannabis when compared to the effects of other legal medications, like prescription painkillers, which killed more than 17,000 Americans in 2016. The FDA will never get behind cannabis the plant as medicine, since it can’t be controlled as a consistent drug. Even the National Institutes of Health (NIH) has funded cannabis research in Israel. Indeed, much of Professor Mechoulam’s groundbreaking research was funded by the American government. The NIH provided him with grants to the tune of $100,000 a year for over four decades, says Mechoulam. There is also nothing preventing Israeli companies from receiving FDA approval for their cannabis-based drugs, as long as they meet FDA requirements. In order to do so, they will need to develop the kind of products that are more in line with pharmaceutical standards, such as the kinds of capsules and inhalers BOL is developing. While that goal is feasible, Gedo and others admit that it will take time, perhaps several years, to achieve. The process of getting FDA approval is an arduous one, especially for a drug that has long been viewed with skepticism by the medical establishment. Yet it is these clinical trials that are taking place at a record pace in Israel, along with the advancement of pharmaceutical grade cannabinoid drugs, that will enable Israeli companies to eventually receive FDA approval for their drugs, or for the drugs that they are helping American companies to develop. 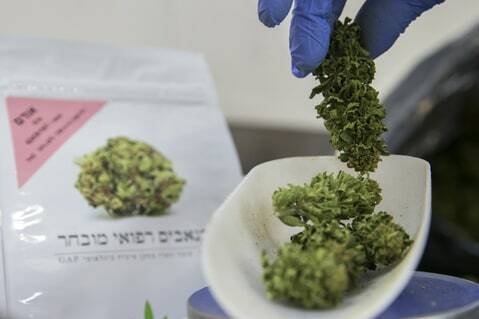 BOL and other Israeli companies are working to meet that challenge by developing cannabis-based drugs – the capsules, inhalers, creams and oils composed of isolated, controlled and consistent cannabinoids. Going this route, they could eventually receive FDA approval. While Gedo is optimistic, he’s also realistic, knowing the complexity of the FDA’s drug approval process, and the skepticism that remains among many in the medical establishment.